CNN.com ran a feature about the Cameron Highlands a few days ago. 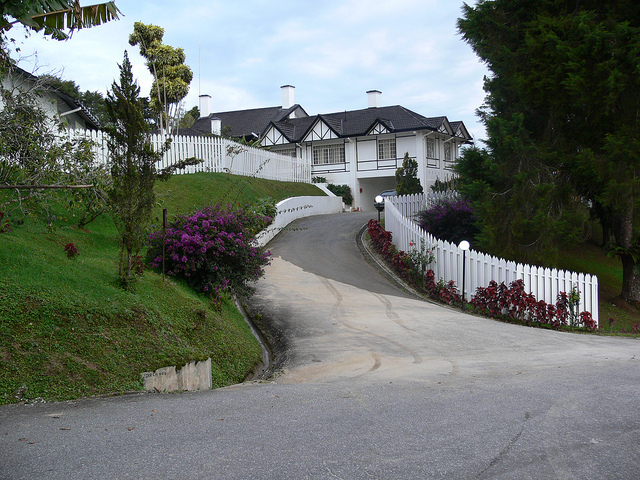 The Cameron Highlands, along with Fraser’s Hill and Kuantan, was a favorite family holiday destination in the late sixties and seventies. We would head to a rented bungalow in the highlands to escape the heat and bustle of Kuala Lumpur. I have fond memories of the Cameron Highlands. So it was with some anticipation that I signed up for King of the Mountains #4. The fourth ride in Dave Ern’s Nine Kings of Mountains 2013 series. There are three roads up to the Cameron Highlands. The Tapah road provides better access to food and drink enroute than the other two roads. 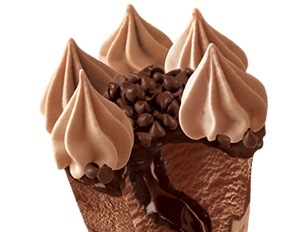 We were a baker’s dozen at the start. 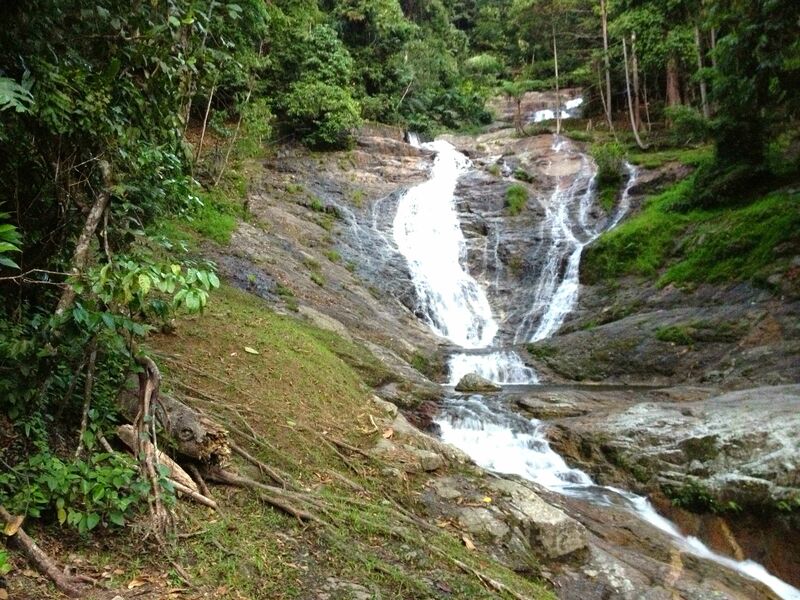 Which was at the Lata Iskandar waterfall, about 22 km / 13.6 mi from Tapah. It is all uphill from the waterfall to Ringlet, 21 km / 13 mi away. The road is shrouded in jungle as it winds its way around the contours of the mountain. This section is dotted with roadside stalls run by orang asli, the indigenous people of Peninsular Malaysia. Most were selling jungle produce like petai or stink bean, wild honey and fresh bamboo shoot. A few stalls had other things, like this one that had angklung and bird’s nests. 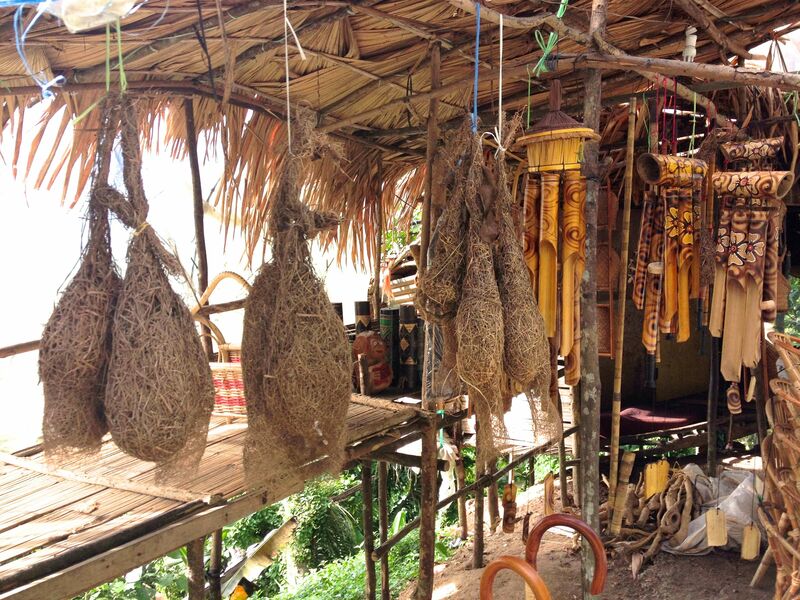 My naturalist friend Irshad Mobarak tells me that the nests were made by the male Baya Weaver. After weaving the nest the male bird dances and sings to invite a female to inspect it. If she approves of it she will mate with him. If she does not like it she will unravel the nest and the male has to build a new one for her. The Baya Weaver makes many such nests in a tree, and likewise he also has many mates too. Ringlet (I wish I knew the etymology of the name) is just over the border between Perak and Pahang. It is the first town along the road from Tapah to the Cameron Highlands. 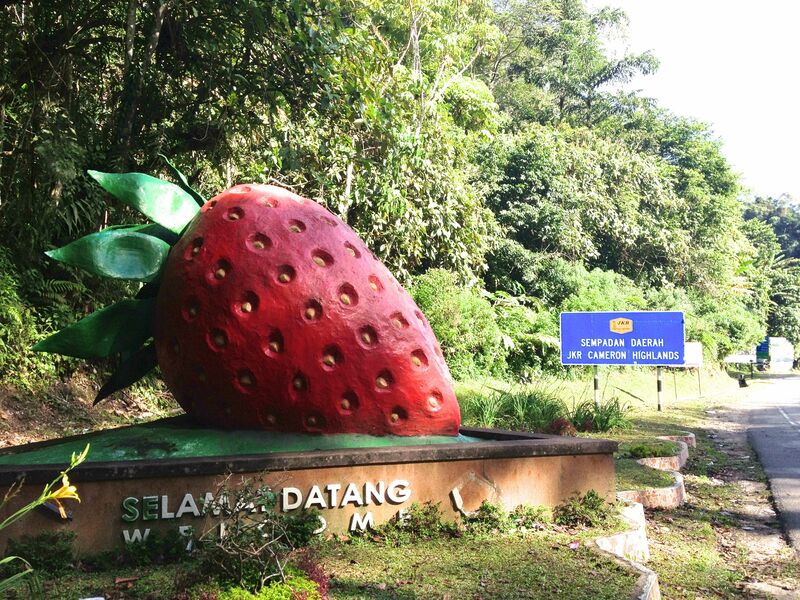 The highlands are the only place in Malaysia where strawberries are cultivated on a commercial scale. Hence this welcome at the start of the 1 km descent into Ringlet. 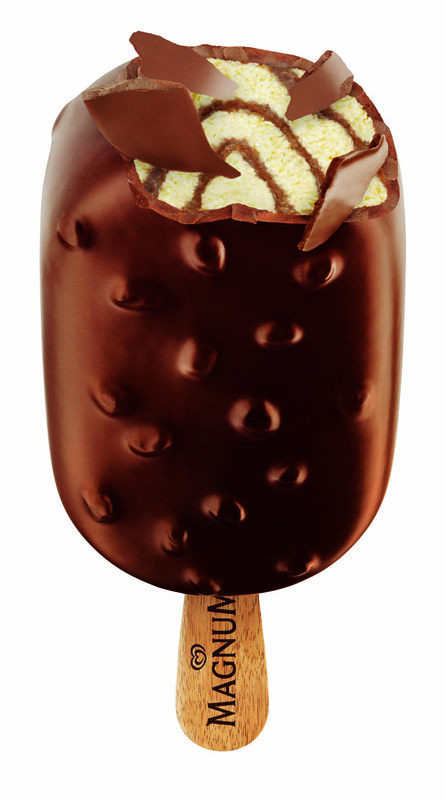 It worked so well that I stopped in Ringlet on the way down the mountain for one of these. The next town was Tanah Rata. A further 12 km / 7.5 mi up the road. There was a photo opportunity along the way at the Cameron Valley Tea House. Incidentally the site of the first traffic jam I encountered as cars and buses jostled for parking at the side of the road. 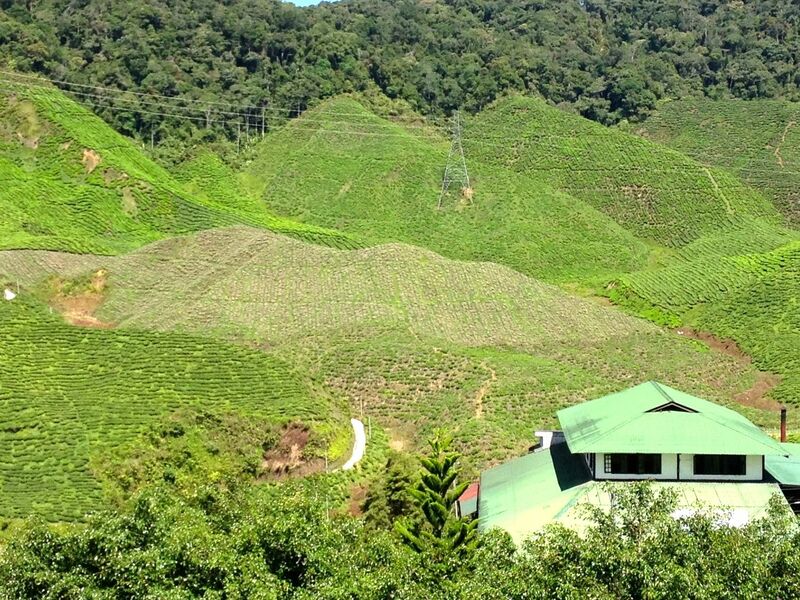 The Cameron Highlands is the largest tea growing area in Malaysia. Boh, founded in 1929, is the largest plantation owner. My biker chick especially likes the Boh Seri Songket teas. The other major tea producer is Bharat, which started operations in 1933. Bharat sells under the Cameron Valley brand. The valleys around Tanah Rata and Brinchang are carpeted with bright green tea bushes and dotted with buildings for tea processing. Tanah Rata is what I remember being the ‘centre’ of the Cameron Highlands. The holiday bungalows were all in the area. Like the Shell bungalow at Bukit Ruil. 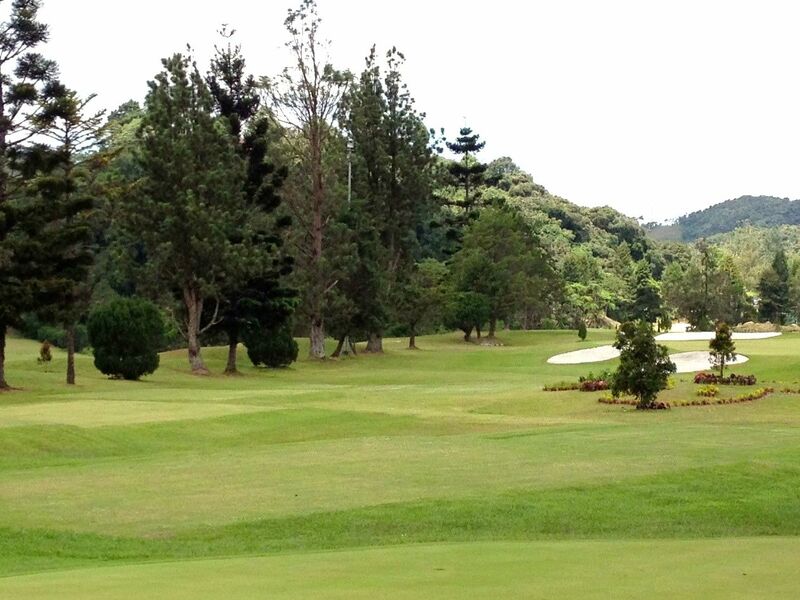 That is where the golf course is as well. The golf club has expanded since I last hacked divots from their fairways. 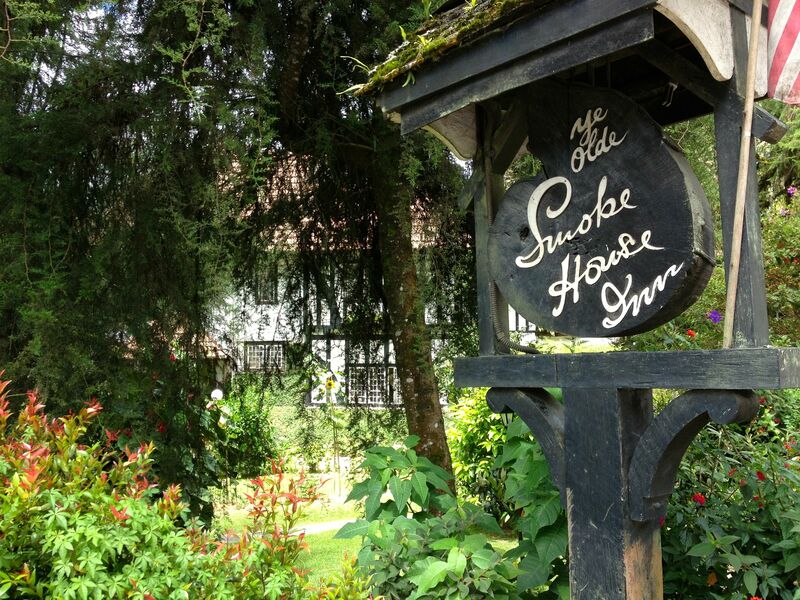 The fabled Ye Olde Smoke House Inn is still beside the golf course. I don’t remember the inn being so close to a major road. The Cameron Highlands was a much quieter place when I was a schoolboy. Just north of the golf course I saw just how much busier the place has become. There was a one-way traffic system around and through a commercial hub that houses at least fifteen budget hotels and holiday apartment blocks, and the restaurants that cater to them. Despite the one-way system and a number of traffic policemen working the flow, things were at a crawl. It was faster by bike, despite the 6% incline. 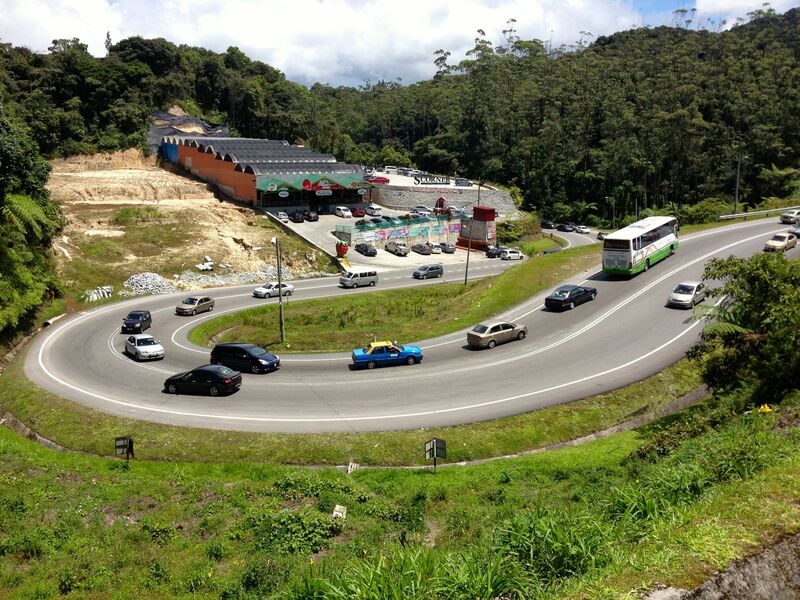 There was a line of vehicles for the next 3 km to Brinchang and the Equatorial Cameron Highlands. The resort is 1,628 meters / 5,341 feet above sea level. The highest accessible point in the highlands. 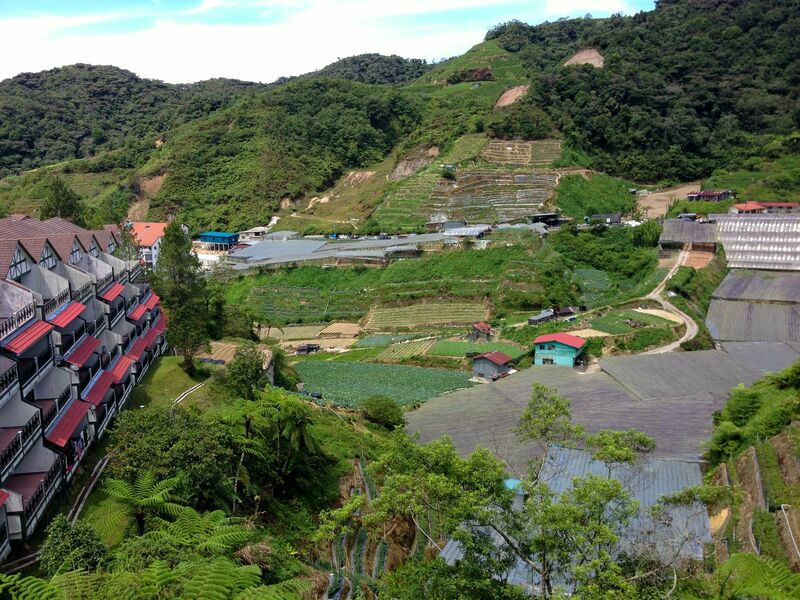 From the resort grounds you can see how the tourist trade now lives cheek-by-jowl with the vegetable farms that the Cameron Highlands has long been known for. Much of this market gardening happens under protective roofs and plastic sheets that extend in terraces up from the valleys. The farms have themselves become tourist attractions. 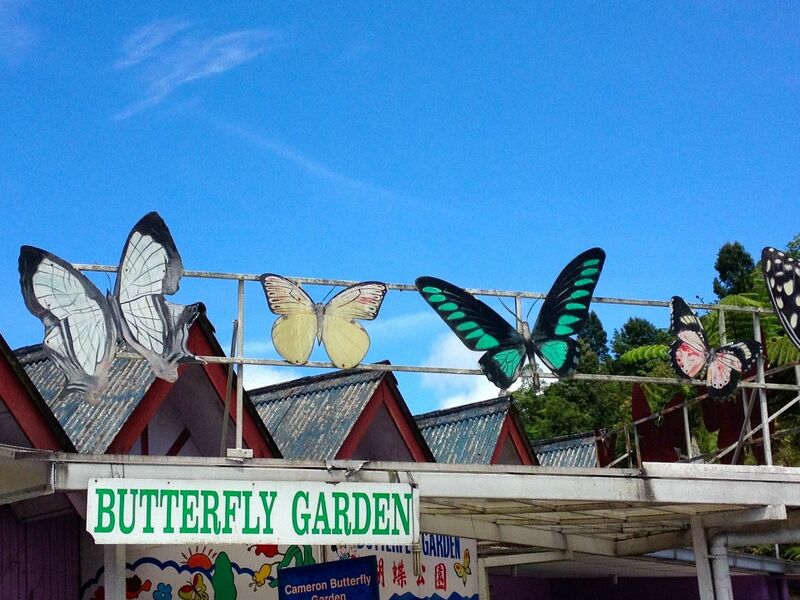 Butterflies have long been a feature of the highlands. Sadly I saw just one butterfly during my ride. Not counting these ones. I turned around not far past the butterfly garden. It was time to claim my reward for all that climbing. 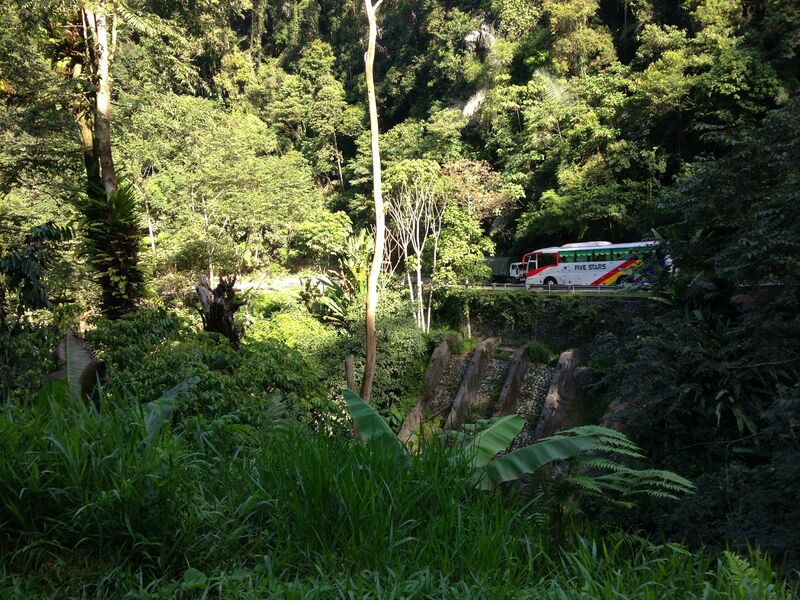 Chasing and overtaking cars, lorries and buses on the switchback road back to the Lata Iskandar waterfall. One bus driver in particular was astonished to see that a bicycle can carve through turns faster than most four-wheeled vehicles can. I enjoyed my ride to Brinchang. I was less enthused with the changes I saw along the way. The area is suffering from its popularity with visitors. The Cameron Highlands may well be a cycling destination again for me in the future, but it won’t be a holiday destination anymore. 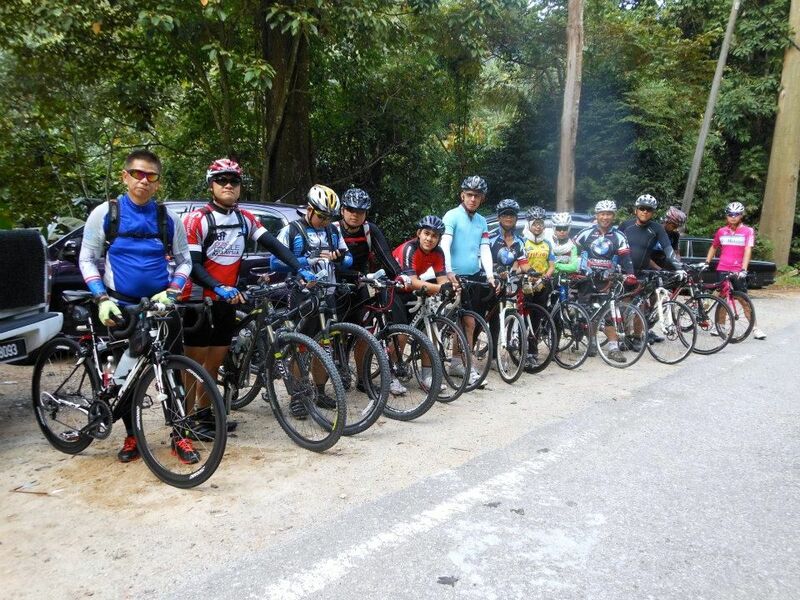 Posted in Cycling in Malaysia and tagged Bharat, Boh, Brinchang, Butterfly Farm, Cameron Highlands, Cameron Valley, Equatorial Cameron Highlands, Irshad Mobarak, King of the Mountains, Lata Iskandar, Orang Asli, Ringlet, Seri Songket, Tanah Rata, Tapah, Waterfall, Ye Olde Smoke House Inn. Bookmark the permalink.